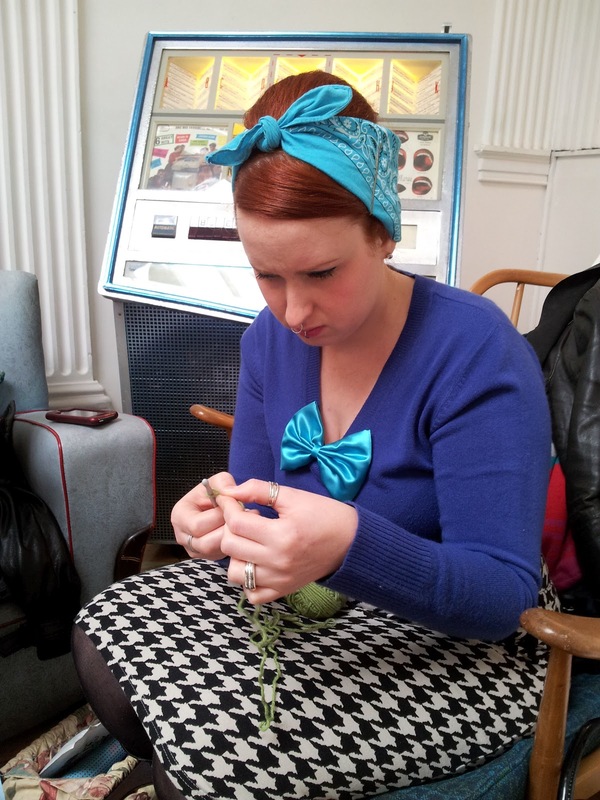 So this week I have been as busy as a bee sewing up new designs and organising production (whats new!). I also received a special little sparkly parcel – 50, 000 crystals to be precise – for a beautiful little something for the model Morgana. You will get to see it very soon as she is doing the product shots for me on this special little number, but I spent the best part of 4 days sparklising it for her. Now I know how all you Burly girls feel! I can’t wait for the images so I can show you all :-). 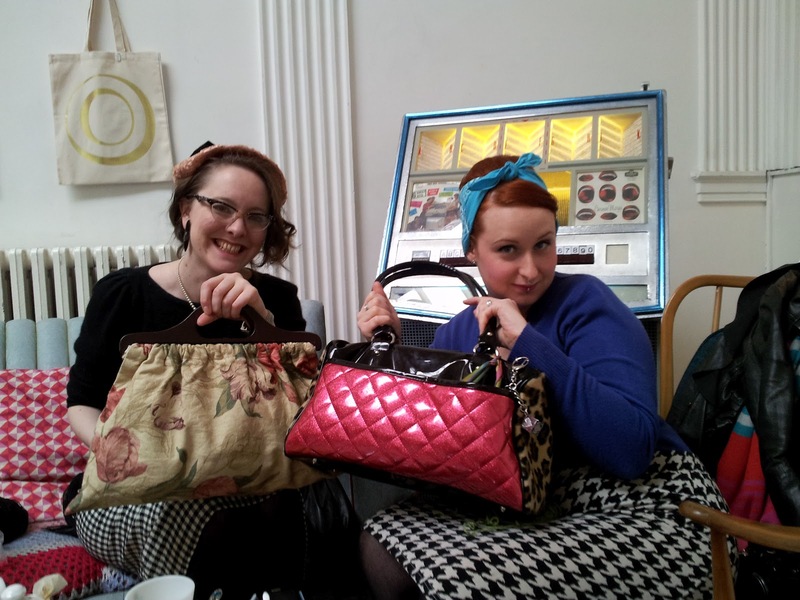 So now you are all up to date on Betty Blue’s HQ news, on to the frivolous stuff! 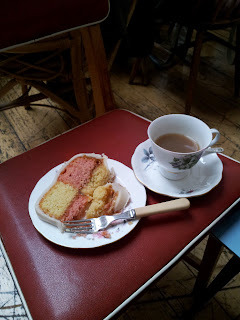 I have many an old lady hobby as I have expressed on this blog before. I think though, that knitting was my first old lady hobby. I first learnt to knit when I was a little girl, I think I must have been taught it at school or something. Then I completely forgot about the joys of knitting till two years ago. On finishing my degree, I suddenly had time on my hands again and went about trying out new hobbies. Knitting was one and when I was interning in London I did it on the commuter train to pass the time. I am yet to complete a knitting project, but I am very enthusiastic. When I learnt that my friend Ellen, of B Millinery, also loves knitting we decided we should have a meet up for a knit and a natter. It might even help us to finish off some of our knitting projects. So a date was set and a newbie knitter/crocheter joined in. Miss Honey Bear joined us as she wants to learn how to knit and crochet, perfect as Ellen is the Queen of all things knitted. Our venue was Drink, Shop, Do just around the corner from Kings Cross. 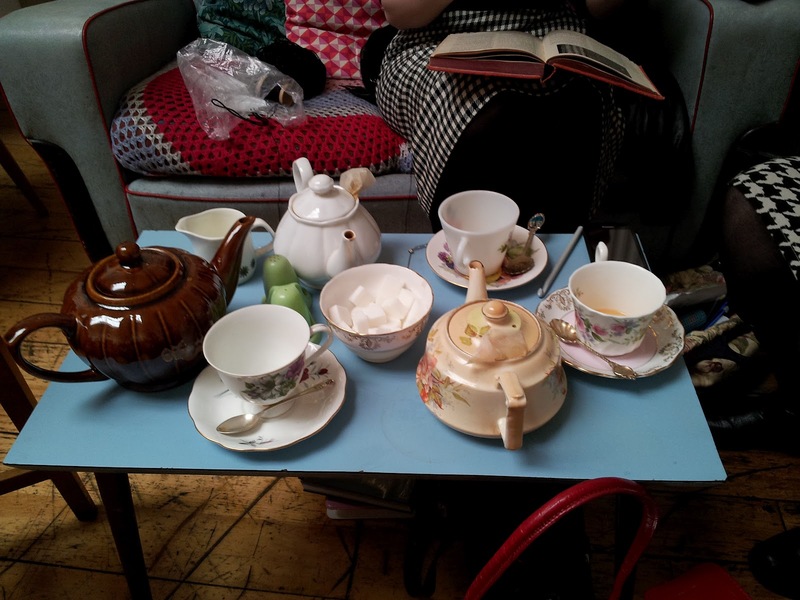 Of course much tea was needed, a vital morale booster, energy giver and thirst quencher. And what do old ladies like most in the world? A nice cup of tea!!! Obviously cake was needed too. Ellen and I brought some of our knitting patterns and books with us to show Kelly and just generally because we like to geek out over them. The above book Ellen brought with her which I have not seen before but MUST HAVE. I am assured they are available on ebay and the likes. You can just see underneath it the baby blue of my first crocheting attempt. 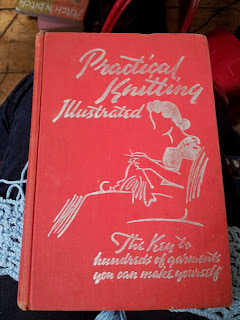 I am crocheting a snood from a pattern in a book I have on the 1940’s I have. This picture is of Kelly trying to get to grips with crocheting. I find knitting is a lot easier for beginners as it is more stable to hold and less fiddly, but Kelly is a sewing pro so she attempted crocheting for her first project. She was going to make a pot stand/trivet, but it turned out a little wonky so she made it into a monsters head, teehee. We had a great time knitting and crocheting and nattering away (mostly nattering teehee) and all agreed we should do it more often. Like I said before I have yet to finish a knitting/crochet project so meeting up every once in a while is sure to help us finish off those pesky items. I have very nearly finished my snood, though not quite, but I will be sure to show you all when I do :). I think everyone should have a hobby like knitting. It struck me that knitting a jumper or a cardigan would have been an affordable way for people in the past to get a new outfit. And if they didn’t like that jumper any more or it became an unfashionable shape; just unravel the yarn and start again! Et voila a new jumper could be made. Perfect for these ”recessional times”.